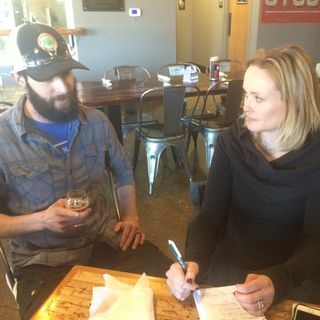 Amy Sherman and John Gonzalez of Behind the Mitten interview Lansing Brewing Company head brewer Sawyer Stevens about this week's BEER OF THE WEEK! We selected the Angry Mayor IPA, which is one of LBC's top sellers. It is named after Lansing Mayor Virg Bernero, who is known as the Angry Mayor. Stevens said it's "not a complicated malt build. (There is) a little bit of caramel malt in the back bone, but really citrus forward piney, floral; you don't get a lot of ... Maggiori informazioni bitterness in this beer. It's more flavor forward."